This feature is exclusively taken from the Ajax issue of These Football Times’ club magazine series. With 130 more pages of content, all on thick, matte paper and perfect bound, it’s even better in print. As a six-year-old boy, Marco van Basten wished desperately to grow up to become a gymnast. Enchanted by the coalescence of athleticism and poise displayed by the masters of the pommel, the bars, the rings and the vault, Marco longed to emulate them, sculpt his body and hone his skills just as they had, and dazzle crowds in the very same way he too had been dazzled as he watched them on his tiny square television. Determined though he was to see his hopes to fruition – as desperate as any six-year-old boy’s career aspirations can truly be – they would quickly dissipate, or, more accurately, they would be replaced. In 1971, Marco watched on, enraptured once again by the breathtaking sights broadcast to him. This time he bore witness to the Totaalvoetbal stars of Ajax, winning the first of three consecutive European Cups, observing something of a premonition of his own future through stinging eyes, fighting the urge to blink for fear of missing a single moment’s hypnotic action. The final whistle at Wembley brought an end to both the tournament’s final and Van Basten’s fleeting gymnast dream; the latter over before it had truly begun. Marco had a new set of heroes and, to go with it, a new dream. This was a dream that would never fade. Already on the books of EDO, an amateur youth team local to his hometown of Utrecht, the inspired youngster began to focus his energies on football, much to the delight of his father, Joop, who himself had played the game semi-professionally throughout the 1950s, and brother Stanley – named after the legendary Stanley Matthews – who, despite being four years his senior, gladly welcomed a willing partner to compete with on the streets outside their home. Marco played only briefly with EDO, a year or so, before moving on to UVV Utrecht. After close to a decade with UVV, he’d finally complete his formal youth career with a season at USV Elinkwijk. As first detailed by Dutch writer Hugo Borst, in a 1996 issue of football magazine Hard Gras, Van Basten kept a meticulous, albeit succinct, record of the final years of his fledgeling football career. On lined pages that would fill three particular folders – later kept and cared for by his doting father, in an unchanged childhood room adorned with a treasury of shirts, medals, captain’s armbands and assorted trinkets chronicling a most remarkable career – Van Basten would make notes on all manner of things in his makeshift diary. 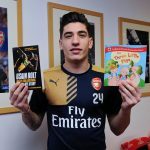 References to school and even an early girlfriend were recorded across some but most pages were devoted solely to notes on his on-pitch progress. “Marco kept a record of each match for Elinkwijk under-18s, noting whether he played, was injured and whether he scored,” Borst revealed. 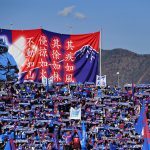 “Every week he wrote out the league table, with wins, losses, draws, goal difference and goals for and against for every club in the division. 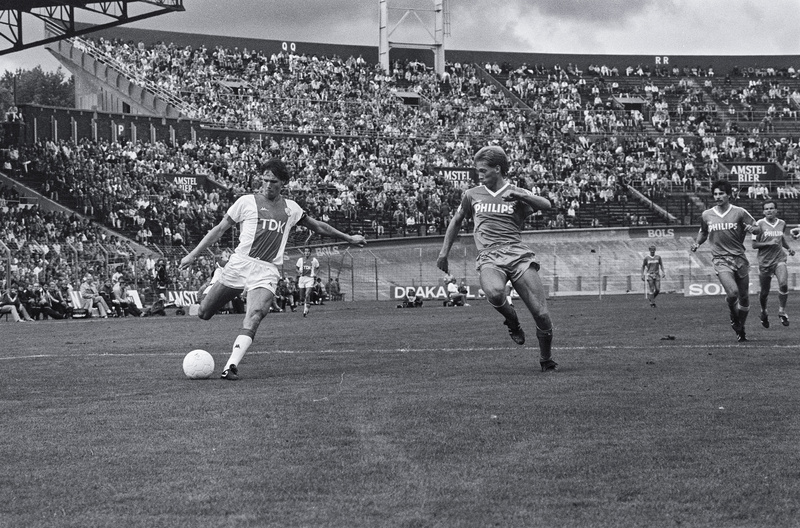 Towards the season’s end, when Elinkwijk could no longer win the title, and Marco had decided to move to Ajax, he only noted the results and how many goals he scored.” The integral part of this extract is the passing reference to Van Basten’s decision to move to Ajax; a decision that would set in motion tremendous waves, to be felt by all of European football for some decades to follow. During his first full season in the Ajax first team, in 1982/83, an 18-year-old Van Basten was called upon 25 times, scoring 13 goals. His was an exciting, vastly reassuring, but acutely considered inauguration. The club’s coaching staff, which included head coach Leo Beenhakker, his short-lived successor Kurt Linder, and, in no small measure, returning player and technical advisor Johan Cruyff, knew precisely how prodigious a talent Van Basten was and knew better than to throw him into the deep end with little more than hope in his ability to swim. Furthermore, Van Basten was made to vie for precedence with another superb young striker by the name Wim Kieft, whose goals had helped the club to the Eredivisie title in 1980, a year before his compatriot’s emergence, and who would come out as the league’s top scorer in 1982, as Ajax wrestled the title back from the grasps of AZ. Prior to the club’s next attempted title-defence, however, Kieft departed Ajax. Enticed by the prospect of plying his trade in Italy, just as Van Basten would too, Kieft left the Netherlands on a plane heading south and signed with Pisa. He would come to question his passing peripateticism on the grounds of his relative misfortune on Italian shores – relegation with Pisa and a forgettable year with Torino leaving no stains on his trophy-laden spells with Ajax and, later, PSV Eindhoven – but, for Van Basten, Kieft’s departure worked wonders. With the runway cleared by his countrymen’s exit, the young striker and his goalscoring form took off like a rocket. Over the proceeding four seasons, between 1983 and 1987, Van Basten spearheaded the Ajax attack with unrivalled prolificacy. Plundering 118 goals in 112 league games – 138 in 145 across all competitions – during the stated period, Van Basten proved nigh on unstoppable. Never was he more potent than in the latter half of those years when, in 1986/87, he scored 43 in 43, more goals in total than in any other season of his career. 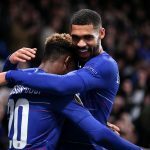 But it was his ratio from the previous year that would endure above all and stand out as his most noteworthy, with his record 37 goals in just 26 league appearances enough to secure him the season’s European Golden Boot award. But as necessary as it is to salute the sheer quantity of Van Basten’s goals for Ajax, such a gesture merely amounts to lip service if neglectful of the diverse grandeur of his goalscoring habits as, even when holding their own against the records of any player from any era, the numbers alone say so little about a player who appeared to routinely spend 90 minutes each week revelling in defying description from his fellow man. Van Basten was, if any player were, born to score, and it seemed to all who watched him as though there was no single class or category of goal that he truly specialised in, purely on account of being so intuitive and physically adept at dispatching each and every kind. At home to Sparta Rotterdam in December 1985, on the afternoon Van Basten helped himself to six goals as his team pulverised them 9-0, the forward called upon his predatory instincts to score a most deft two-touch goal. Teammate Gerald Vanenburg sought out a long-range strike but succeeded only in skewing his effort wide. Before any keen defender could clear their team’s lines, though, the curling ball was trapped and swept goalwards in one fell swoop by the right instep of Van Basten, before being prodded beyond the goalkeeper’s despairing dive with his left. This particular milestone came just a few months after a similarly memorable game, during the very same campaign, away to Heracles Almelo. 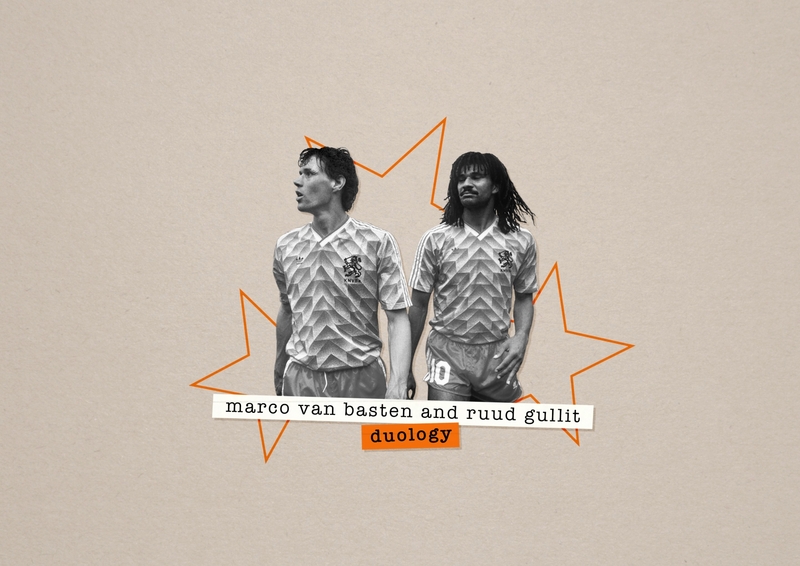 During their 8-1 thumping of the hosts, Van Basten scored five, with a goal that followed a magnificent, mazy dribble, which ended with the forward deceiving three defenders, seating one prematurely, and rolling the ball beyond the stupefied goalkeeper, for his pick of the bunch on that occasion. Against Feyenoord, in September 1983, Van Basten retained possession by sliding at the feet of the last defender before skipping past a desperate retaliatory tackle and lofting the ball neatly over the onrushing goalkeeper and into the empty net. At home to AFC Volendam in May 1985, Van Basten careered upfield, striding past one tackle, calling upon a swift stepover and feint to deny another, before dinking the ball between two defenders and over the dive of the goalkeeper into the very top corner. Facing NAC Breda, in March 1985, Van Basten allowed a long upfield pass to drop over his shoulder before lashing a fierce right-footed volley upwards into the roof of the net. In a 3-1 victory at home to Den Bosch in November 1986, Van Basten finished the scoring by meeting a cross to the centre of the penalty area with a wicked overhead kick that flashed beyond the goalkeeper before he could even think to thrust a hopeful hand into its path. Coming up with the goal that would win for his team their sole Cup Winners’ Cup in May 1987, Van Basten outpaced his marker and leapt early to powerfully glance a downwards header past the motionless Lokomotiv Leipzig goalie. As evidenced by the merest handful of examples, the variety in the fashion of Van Basten’s goalscoring was every bit as impressive as his consistency. Right-footed, left-footed or headed; powered mightily from distance or snatched cheekily from close range; curled, placed, arrowed or dinked; the simplest final touch in an organic expression of collaboration or crafted exclusively from his own genius in a succession of Daedalian stages; Van Basten could, and did, score every type of goal. 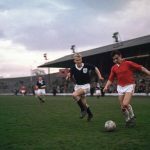 They were his currency, his sustenance, and though he so adored and cherished beautiful football, he sought not to discriminate against any type of goal. They were his gift to the game and each was made beautiful in having been scored by him. Beyond the close of the 1986/87 season, Van Basten’s time in Amsterdam had come to an end. After three league titles, as many KNVB Cup triumphs, a Cup Winners’ Cup, and the inexorable completion of a stunning journey from boy wonder to peerless goalscorer, just £1.5m proved enough to prise the Dutchman away from his beloved club and into the hands of Silvio Berlusconi, who had big plans for him and a couple of his most revered compatriots in the red and black half of Milan. In his homeland, injuries had hampered his progress – though you’d hardly know it, judging by his record – but his time in Italy would sadly come to prove he’d seen nothing of the sort yet. The heights at which he soared abroad were euphoric and career-defining, but the depths he plumbed at the behest of injuries to his ankle were the lowest he would ever know, and though short of defining his career, they undoubtedly ended it. 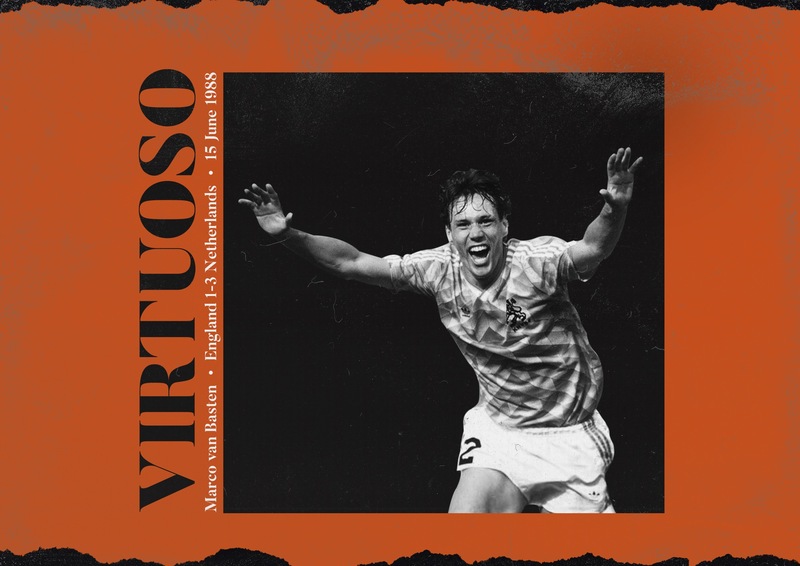 Come the mournfully premature end of his playing days – physically spent at just 28 and cursed to tread forevermore on an ankle ravaged by injury – Van Basten’s football career, exhilarating though it had been, had become irreversibly burdened with a wretched caveat. There was no denying the dizzying heights to which he strode at his outrageous peak but a question of how much higher he could have reached, were it not for injuries, would refuse to relent. It would be the question no individual fortunate to have witnessed the Dutchman’s powerful prowess could resist proposing; the spiteful monkey on his back. Yet the injuries – the rupture in reality they caused and the subsequent skewing of the world’s interpretation of Van Basten’s legacy – came only after he had flown the nest and departed his home in the north of the Netherlands, beginning the second of the two six-year stints into which his career can be so neatly drawn. This serves to say that more than one image of Van Basten exists. There is, preserved pristinely in the minds of the blessed, an evocation of Van Basten unburdened by his injury curse, and it belongs only to the fans of Ajax. Sure, AC Milan fans saw him at his terrifying best in transient spells too, with Serie A and European Cup trophies held aloft in his hands, three Ballon d’Or to his name and more Golden Boots than he had feet to wear them. But for a select crop of onlookers, the relatively few Amsterdammers fortunate enough to have so fleetingly occupied the same time and space as a talent as bold and brilliant as he, they saw the most elegant, enrapturing, entrancing form of Van Basten. The boy without ballast, who played like he was invincible and about whom the question of how great he could truly be was an invitation not to trawl through the heartbreaks of his past but to gleefully dream of his limitless future. The Marco van Basten that, for six years, Ajax were privileged to call their own, who dealt exclusively in hope and joy, excellence and grace. And that, even if only for Ajax fans, is the image of the man that will endure forever.